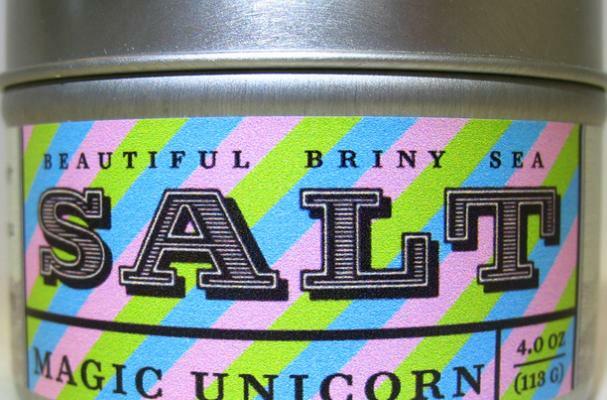 Magic Unicorn salt from Beautiful Briny Sea is a fantastical flavoring. This majestic sea salt blend is hand-harvested with organic herbs and spices. This particular seasoning is mixed with smoked paprika, lemon, garlic, rosemary, celery seed and of course, sea salt. Other flavors include rosemary, lavender, truffle and more.